After 6 months and a few thousand miles of street driving, I’m back to report on how my JRZ RS PRO3 dampers are doing on my F80 BMW M3 6MT, “Betty.” Last winter I was still living in San Jose, California and I would often commute to work by train to avoid the hassle of driving (and parking) near my office in San Francisco. However, there were days when I would still want (or need) to drive, which meant I had plenty of opportunities to log some highway and city miles; and with those miles came lots of time to feel and observe my RS PRO3 dampers in action. 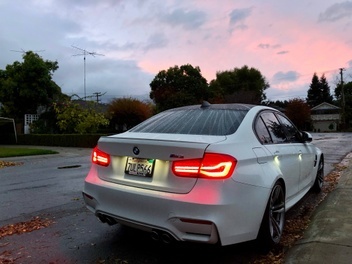 My main takeaway has stayed the same since I first installed and wrote about the RS PRO3s. The car is just so much better with these shocks. Remember, highways in California are terrible and roads in San Francisco are even worse. 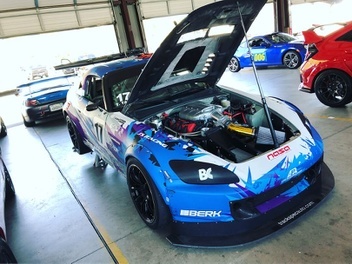 And yet, “Betty” manages to be compliant over all of these surfaces in a way that to me is very livable; especially considering I am technically driving on racing dampers on an everyday basis. 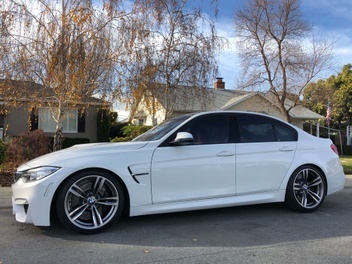 I love having the ability to adjust low-speed and high-speed compression, which translates into comfort and a suppleness in ride-quality that the M3 does not come with from the factory. Alright, let’s be real. 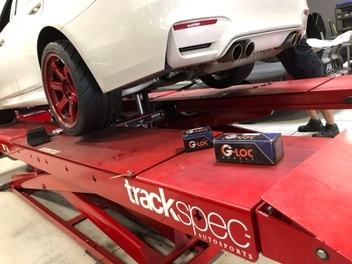 If you’re reading this right now on the JRZ Suspension website, chances are you are looking for performance for your vehicle above all else. So, let’s get to the good stuff. 2018 has kept me busy with friends, family, traveling, and work. 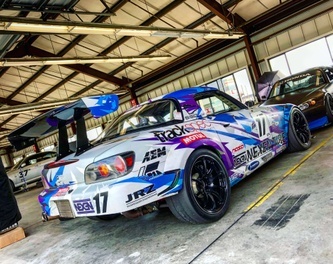 And while I’ve made time for racing (I compete in NASA Super Touring with my JRZ 12 31 equipped ST4 Honda S2000, pictured below), I haven’t done any track days in my M3. 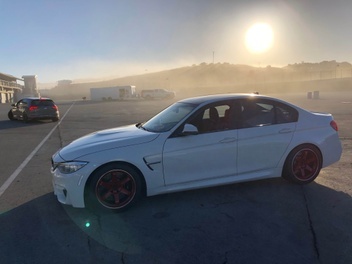 As such, now that it’s almost June I decided it was time to return to Laguna Seca (now renamed from “Mazda Raceway,” to “Weathertech Raceway”) in order to see if the performance of my dampers had changed after braving so many bumps, potholes, and all-around miles. Before I left for the track, I started with some prep work. 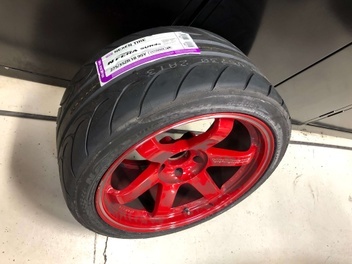 We mounted fresh Nexen Nfera SUR4G tires on my track wheels and swapped to GLOC racing pads (R18 in front and R12 in the rear). 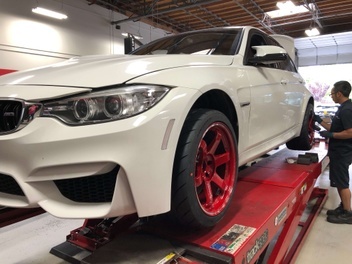 We did a quick check of the alignment and corner balance before packing up for what would be a 5am morning (I moved to San Francisco two months ago, so now it’s about a 2-hour drive from my house to the track). Just to be safe, I also put in fresh Motul 300V engine oil and Motul RBF660 brake fluid. After arriving at the track, I was anxious to get out there. I left my current daily-driving damper settings on the car, and just drove it as is. Immediately, I was lapping in the low 1:44s. Because this was just a fun day with friends (I was also instructing with the driving school group), I always had a passenger riding along with me for every session. 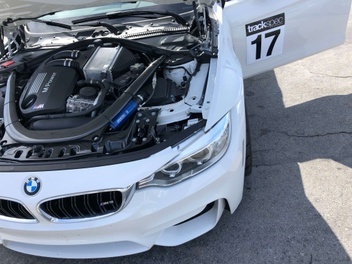 I experimented with small changes to rebound and compression based on what I’d previously liked for “track settings,” and felt I’d been able to make some small improvements to the overall handling characteristics. By the end of the day, I had gotten down to the low 1:41s and more importantly I’d had a great time. Every person who rode in my car was really surprised by how comfortable it was, despite being quite fast. I plan to take “Betty” for her first time ever to Sonoma Raceway this Summer/Fall. I’m so excited, because that track has quickly become my all-time-favorite. I just love the complexity, the narrowness of the walls, and the rhythm. Check back soon for updates!